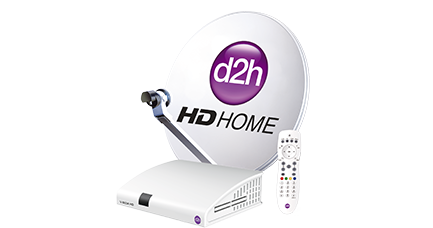 Mumbai, January 21, 2013 : d2h, India's fastest growing DTH service has amongst a range of Telugu regional channels & services, Andhra's premier news channel ABN Andhra Jyothy (Channel No: 890). ABN Andhra Jyothy is a Telugu news channel formed by a tie up between Andhra Jyothy - a Telugu daily publication and Aamoda Broadcasting Network. ABN Andhra Jyothy covers a range of subjects like region centric news, socio-economic subjects, business & economics, political viewpoints and has a special focus on the rural and agricultural development in the state of Andhra Pradesh. In its short duration since its inception the channel has been able to touch the hearts of the audience with its differentiated and qualitative content, the evidence of this is it garnering good television ratings. 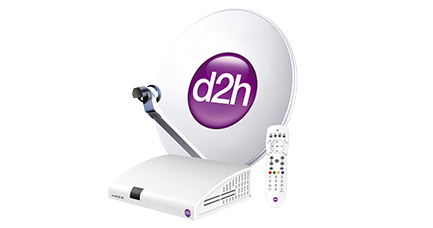 d2h seeks to offer quality programming and services to their subscribers and attempts to maximize value to its subscribers. 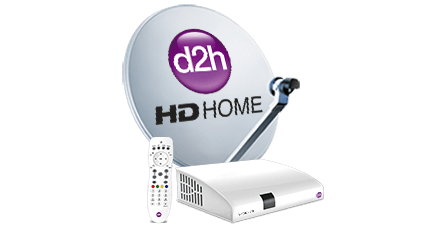 d2h now offers 29 Telugu Channels and services, which includes channels like ABN Andhra Jyothy, Gemini TV, ETV, Maa TV, Zee Telugu, TV9, Gemini Comedy, Gemini Music, Maa Music, ETV 2, Sakshi TV, TV 5, NTV, Bhakthi TV, SVBC, Gemini Movies, Maa Movies and language services like Cartoon Network (Telugu), Hungama TV (Telugu), Disney (Telugu), Nick (Telugu), Disney XD (Telugu), Discovery (Telugu), History TV (Telugu), National Geographic Channel (Telugu), History HD ( Telugu) and All India Radio Telugu. Mr. Saurabh Dhoot, Director - d2h group comments ""We always strive to provide quality programming to our consumers and in our endeavor, seek to add as many new channels and services as possible. In a regionally diverse country like India, we endure to provide more variety in regional content for customers, thus aiming to suit their sensibilities better. We believe that regional channels on our platform will further strengthen our brand value."" Mr. Anil Khera, CEO d2h added , ""We believe in laying emphasis on regional tastes and preferences as a platform. Availability of ABN Andhra Jyothy reflects our commitment to provide popular channels to our subscribers, thus giving us another opportunity to bring a smile to our consumers and add further value to our services. We are hopeful that ABN Andhra Jyothy will help catalyze further penetration in the Andhra Pradesh market for us."" The claims of fastest growing DTH service provider, maximum number of channels & services and HD channels are as on 30th Sept 2012. Bharat Business Channel Limited is proposing, subject to receipt of requisite approvals, market conditions and other considerations, an initial public offering of its equity shares and has filed a Draft Red Herring Prospectus dated December 14, 2012 with the Securities and Exchange Board of India (""SEBI""). The Draft Red Herring Prospectus is available on the website of the SEBI at www.sebi.gov.in and the websites of the Joint Global Coordinators and Book Running Lead Managers at www.enam.com and www.ubs.com and the Book Running Lead Managers at www.idbicapital.com, www.sbicaps.com and www.yesbank.in. Investors should note that investment in equity shares involves a high degree of risk and for details refer to the Draft Red Herring Prospectus, including the section titled ""Risk Factors"". ""The Equity Shares have not been and will not be registered under the U. S. Securities Act of 1933, as amended (""Securities Act"") or any other applicable law of the United States and, unless so registered, may not be offered or sold within the United States except pursuant to an exemption from, or in a transaction not subject to, the registration requirements of the Securities Act and applicable state securities laws.""